We’ve installed both Luxury Vinyl Tile (“LVT”) and Vinyl Composition Tile (“VCT”) across a range of commercial applications. Both LVT and VCT are highly durable and can be installed quickly and easily repaired by replacing select tiles/planks. LVT is gaining in popularity as manufacturing costs come down and innovative new options become available. LVT is produced with a digitally printed graphic layer that’s applied to a vinyl backing and sealed under an outer wear layer. 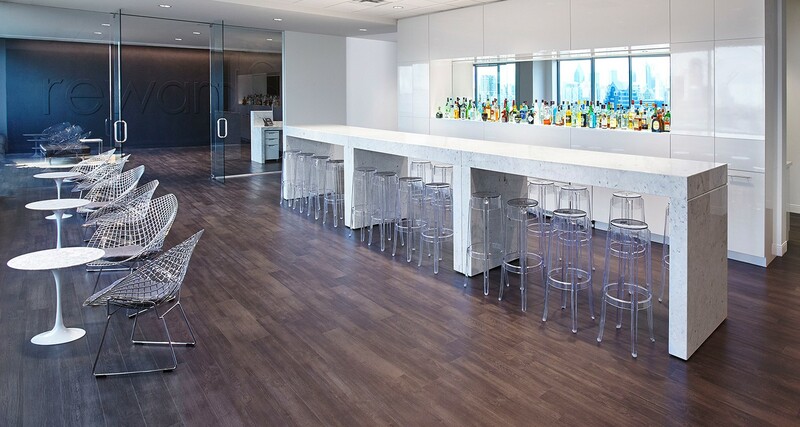 LVT can be manufactured to resemble wood, ceramic or stone. VCT is a mix of limestone and other materials that are fused into solid sheets and then cut into tiles. VCT is the lowest cost of all resilient options, but can require high maintenance and wears quickest.